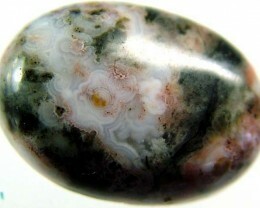 Beautiful patterned stone ready for setting. 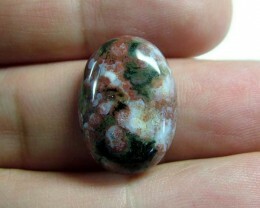 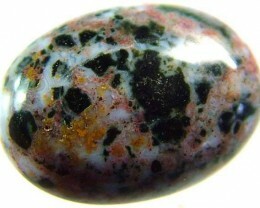 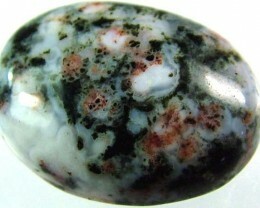 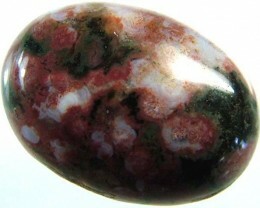 Orbicular jasper is a variety of jasper which contains variably-colored orbs or spherical inclusions or zones. 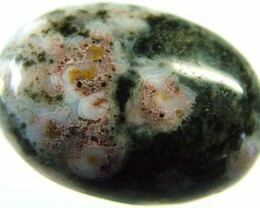 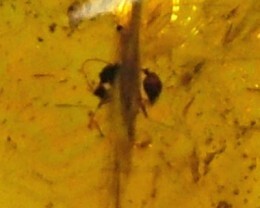 In highly silicified rhyolite or tuff, quartz and feldspar crystallize in radial aggregates of needle-like crystals which provide the basis or seed for the orbicular structure seen in this kind of jasper. 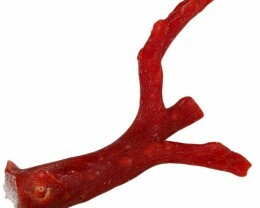 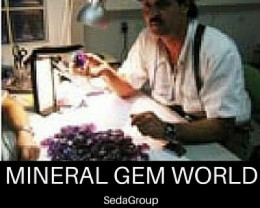 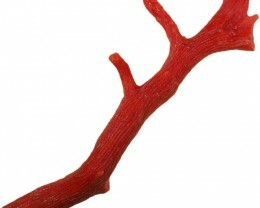 The material is quite attractive when polished and is used as an ornamental stone or gemstone.